It’s Pride Week on PEI with a full schedule of activities on slate, and individuals, businesses and organizations preparing for the Pride Parade on Saturday. We are hearing lots of discussion about the importance of creating safe, inclusive spaces, whether at UPEI, Trinity United Church or elsewhere. Funeral homes can also be safe, inclusive spaces for all to express their authentic selves. As professionals we provide compassionate care to all we serve and have for generations. As a young child, I recall the death of a dear older friend. I was asked if I wanted to view him prior to his service. I remember my mother accompanying me into the visitation room. When I approached the casket, I noticed he was wearing bright orange lipstick. I immediately commented on it and my mother simply replied, “that’s the way he liked it”. I didn’t require any more information than that. We were honouring him in death, as he had lived. 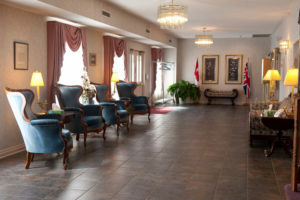 When we talk about creating a safe space at our funeral home, it means we have communicated with staff about caring and serving all individuals, regardless of orientation, race, religion, etc. We have invested in our own education, including course work on end-of-life care for LGBTQ+ Canadians and supporting the LGBTQ+ community in illness, death and grief. We are proud allies and advocates for inclusive care of the deceased and their families. One need only look to media reports about LGBTQ+ individuals being shunned by their families or dishonoured in death, by not having their gender identity recognized. Thankfully their friends and community provide much needed love and support. The movie, “If These Walls Could Talk 2” explores how society has shifted and changed, to become more inclusive. The scene depicting an older lesbian couple in 1961, vividly demonstrates the challenges faced by individuals in having their relationships recognized. One can only imagine the additional hurt and losses experienced by the surviving partner. 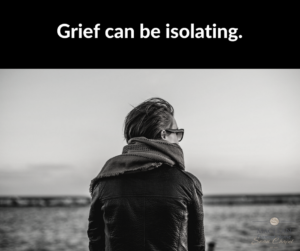 When we think through what that means for individuals and the impact it has on their grieving process, it is easy to see how isolating it can be. Grief can be isolating, particularly when your loss isn’t recognized. As the Pride celebrations continue, let us be mindful today and every day, that all who grieve need the support and comfort of their community.